For nearly two years, I’ve avoided The PokéSpot, Wisefish, Red Poke or The Poke Spot (Los Angeles) and other poke fast casual spots. That’s because the handful of times I spent $15 on a fast casual poke bowl, I was disappointed with either the portion, taste, price or combination of those three factors. But after devouring some delicious Shoyu poke and spicy tuna on a Hawaii holiday, I was inspired to give one of the many poke bowl franchises in the city another shot. So I ventured to the closest poke location Pokéworks. In short. Pokéworks wasn’t just flavorful and more than reasonably priced at approximately $10, but the size of the portion was significant (and I only got the “regular). So much so that I had enough for a second meal the next day. That one experience at the Union Square location not only changed my mind on fast casual poke, but seeing as I’m all for “cheap, good eats,” I’m now obsessed. Take a look and get obsessed, too. My re-introduction to poke bowls couldn’t have been better timed. Not only does New York City have a handful of Pokéworks locations, my now-favorite poke spot is in the midst of a major expansion; with a plan to almost tripling their current storefront count from around 30 to 80 in the next year. And that insane expansion includes a San Francisco location – my second home. If you visit the company’s location page, you’ll see that a Pokéworks is coming sooner than later. 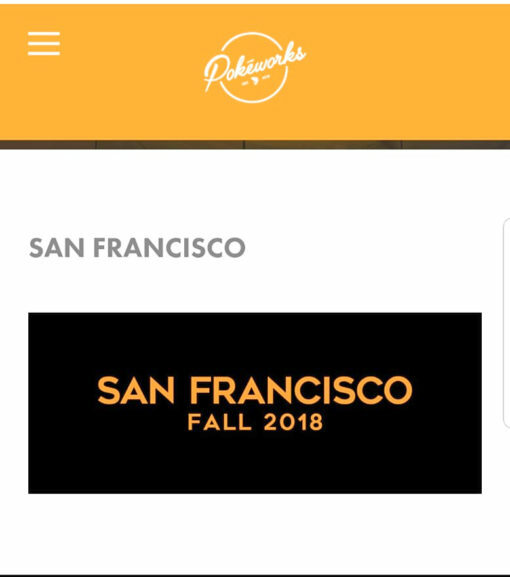 The page doesn’t mention a specific opening date or location, but poke lovers should plan on having a Pokeworks in San Francisco sometime during the Fall of 2018. My guess is that it’ll join sweetgreen, Luke’s Lobster, Mixt, Chipotle and other fast casuals in the downtown SoMa / Financial District of the city. In some ways, it’s a surprise that it took the raw fish fast casual franchise to reach San Francisco. 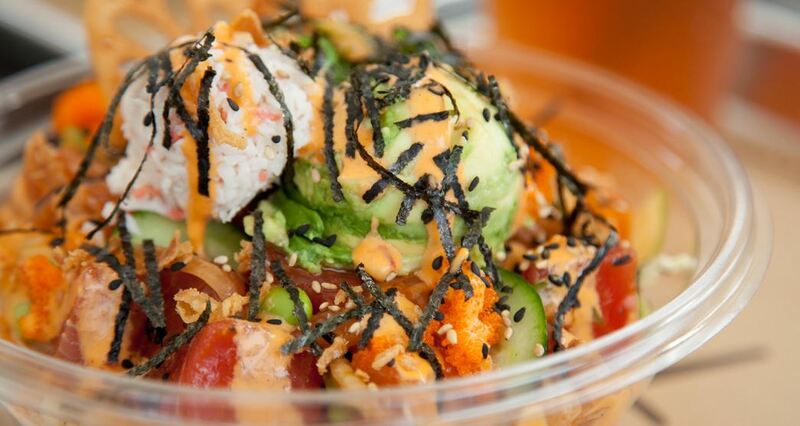 Whatever the case, the great news is that Pokéworks is bringing affordable poke to SF this Fall.